The movie is EXACTLY what the title says- It’s NOT Star Wars but it’s part of it! And by that I mean you the viewer or fan like me, will find elements of the movie that bring up Star Wars nostalgia of places, ships and EVEN CHARACTERS! Yes, dear people, with the miracle of modern day technology (CGI) you will get to see some of your favorite heroes or villains from the original 1978 Star Wars back- but I will speak more on them later. Let us now talk about this movie and what I think worked but most importantly what I think did not work or to be more specific what I think worked against it! The story is original enough and new- even if it is the backstory to one of the most iconic things in Star Wars. Sorry, you crazy force wielder fanatics, not the lightsaber, but the Death Star. I will try to analyze the story but it is ‘a bit’ difficult to put a stamp on the exact story line. It is funny because people, fans and even critics complained that after the last we wanted all mighty Disney to stop playing it safe. We wanted them to abandon their plagiarism of the old movies. Ie no more copying and pasting old storylines. But now we have the exact opposite. My head is spinning from the complexity; so I won’t over analyze it too much. 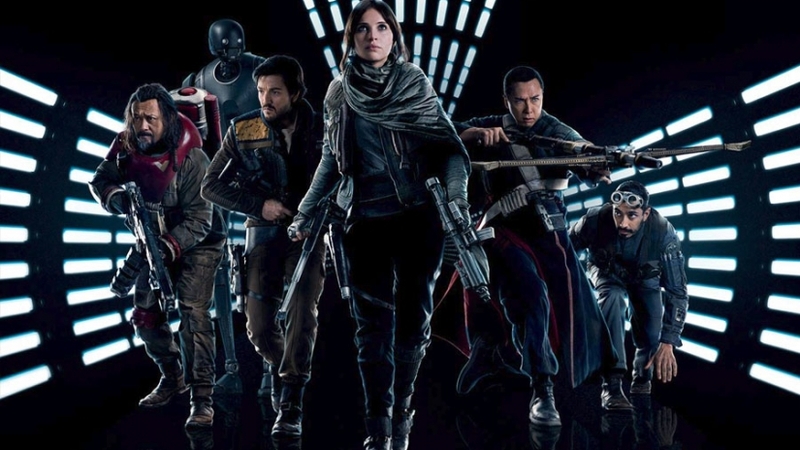 The new characters Jyn Erso [played by Felicity Jones], Cassian Andor, Chirrut Imwe [played by Donnie Yen] & the rest of the rogue one squadron that don’t make any real impact to the audience; except for K-2SO. Yes, we have another ROBOT and yet again he is awesome. All of these characters have a sense of nobility through desperation. This is caused by the Empires New Weapon; the Death Star. The characters show talent and courage while trying to deliver a secret message to the Alliance/Rebels. They follow their purpose through even in the face of certain Death. There are many moments; from darker moments to dramatic moments where you should feel some rising goose bumps. However, you do not. This is where you can probably blame movies altogether- not just this one. 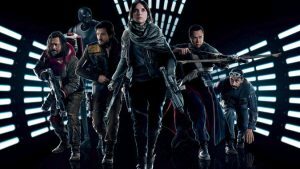 When a director is trying to make a movie in the Star Wars universe into a new story, that somehow connect to such a HUGE STORY, it can often fall flat of its goal and become forgettable. In truth, I do not remember the names of all the characters. I am having to Google most of them; except the main character, the girl, see I have even forgotten her name-Jyn. Even actors that I already love, stars like Donnie Yen and Forest Whitaker, both play smaller parts in a far too small story in a much BIGGER UNIVERSE. Whereas, as someone else might become emotional or attached to these characters, I cannot find myself feeling the same. Even with the films fairly long run time- 2 hours +. Honestly, all I can say is that they did their job. There was no stand out performances. Even Oscar winner Forest Whittaker did not blow me away, not even a little force push. However, in fairness, this was probably because they were not given the opportunity or screen time to really show their acting chops. I sincerely think some of these new characters/actors like Diego Luna or Riz Ahmed who genuinely are a big part of the movie with a lot of screen time, were simply not good enough. Either they were not engaging enough or did not have interesting enough characters. Although, with that said, one of them plays a pilot; the question is how was Oscar Isaac as Poe able to steal the show in his first appearance in a very similar role? It seems like it was simply the actors simply being unable to engage me at the level I expect from anything connected to Star Wars. 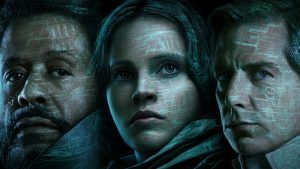 Yet, when it came to Forest Whitaker and Mads Mikkelsen ( playing Jyn’s dad ) we needed and wanted more of them and less of the others. Yes, we can always find something to complain about- However, when the movie ends and you stay there thinking who was that guy or what was his/her name again? It is the bitter truth that the performances were padawan level, not master Jedi! Finally, something to boast about. The movie looks great at times. I would go as far to say it has the best CGI and Special effects I have seen to date. Remember, I said you will have some great nostalgia from old heroes and villains? [spoilers] Yes people we get to see Young Leia & Grand Admiral Moff Tarking. The CGI animations is almost perfect. 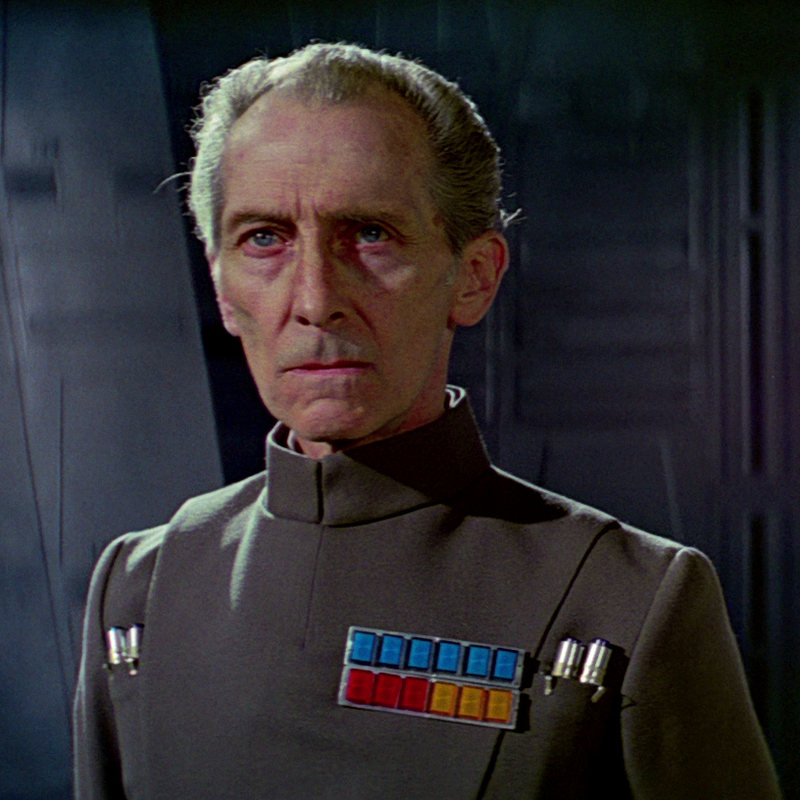 As a true gamer and technology geek, myself, it took me about 10-15 seconds to realize 100% that it was CGI- this realization came as I already knew that sadly Peter Cushing had passed away. In short, it is good. They managed to capture the tone and effect of the original ships, the look of The Death Star and many other things like the storm-troopers. Yes, they are even as DUMB as back then and still can’t hit a target for the life of them. Moreover, the interior designs of the ships and the general look of the Imperial Army all look nostalgically authentic. I cannot find fault with the visual effect. However, with a $200 Million budget surely great visual effect is to be expected. So, let us not give too much praise for what is now a given in all big budget films. If you pay attention you will see some errors here and there. Such as blaster shot leaving a whole through a full on metal armored droid, but then just a smoke scratch onto the helmet of a supposedly dead stormtrooper. However, this is due to the PG rating- as usual, you will only see certain more violent or dramatic things happen when they are allowed to show you. It does not always make sense, it would be nice to get a more adult Star Wars film one day. But I guess Disney still has toys to sell and little kids bums to put on seats. However, just like the toys sometimes the major battles seem very fake and at times even with the great visuals they fall flat. I blame this on the film being held back by its PG rating. How can any war film maintain high levels of realism(even in Sci-Fi) when it has to be mindful of upsetting or corrupting young impressionable minds. A grown man like me wants and needs to see that grittier and more explicit scenes with explosions, blood and grit not just lights, smoke and fire. It’s Star Wars you will get some of your favorite themes back and it’s chilling when you get them. However, in 2016 there is once again a lack of new soundtracks or new memorable themes. Maybe I am being too harsh but come on people its Star Wars they should be able to find a new dramatic or exciting score from somewhere. Any STAR WARS film without its main pieces of The Force, Light sabers, Jedi & Sith will struggle to stand up by itself. For instance, the two scenes with Darth Vader made the whole cinema erupt with applauses and cheers- one of them had no actions just talking and the was the fantastic finale- even if it was a little too short. With that said, the reaction showed the movie definitely need more Darth Vader, more of the force and maybe even more ‘fun’ in it. Yes, darker and more sinister seems to be the new trend with blockbuster movies, but they could have taken a risk and brought a bit of JaJa to the film… Ok not JaJa but some kind of comic relief between the darkness. In short, I think opinions will be swayed on this film. Yet, in truth, it is not better than episode 7. Which means if you were disappointed with Fin and Rey first outing, then you will end up finding The Force Awakening’s negative aspects actually redeeming qualities in Rogue One.